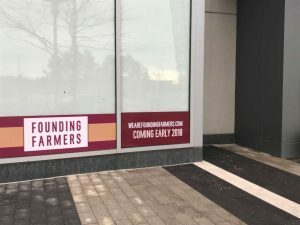 Founding Farmers plans to open its Reston Station location in early 2018. The opening of the restaurant, originally set for summer 2017, was delayed due after plans to the 10,000-square-foot location (1901 Reston Metro Plaza Drive) were revamped. No firm opening date has been made public, although the company has begun hiring for all positions and expects to open in the first quarter of this year. 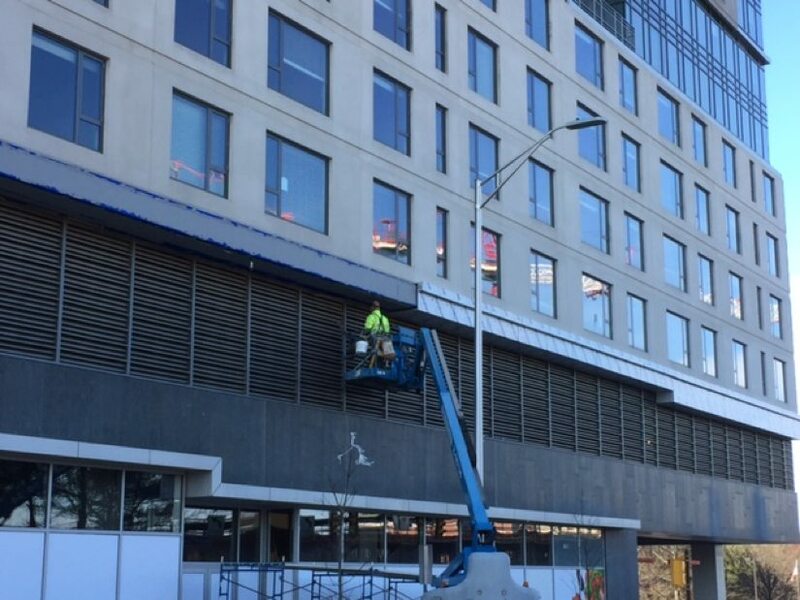 In August, a company representative told Reston Now the restaurant will open next month. A spokesperson for Comstock Partners, the owner of Reston Station, said the company went back to the drawing board to improve the design and layout of the restaurant after opening a new location — Farmers & Distillers — in the District. The Reston restaurant rests on the ground floor of a planned 200-room hotel at Reston Station and on top of the 3,500-space Reston Station Transit Facility. A large mezzanine is planned at the site, which sits next to the 45o-unit BLVD at Reston Station. The farmer-owned restaurant include a full-service menu and bar with breakfast, lunch and dinner and a Farmers Market buffet brunch on weekends. A “First Bake” menu will offer takeaway breakfast and coffee on weekday mornings, according to the restaurant’s website. Founding Farmers is owned by more than 47,000 family farmers of the North Dakota Farmers Union and is supplied by hundreds of family farms, according to its website. No update was available on when Sweet Leaf, a locally owned cafe chain scheduled to open next to Founding Farmers will open. Signage on the store front indicates an opening in the winter of last year. (This post was updated on Friday, Jan. 12 at 10:29 a.m. to include background about Founding Farmers). Reston Station is getting a coffee house — one that will look familiar to, well, everyone. Starbucks has signed a lease to take over newly built-out space on the plaza level of the BLVD apartments, says a Comstock spokeswoman. An exact opening date has not been announced. Comstock is the developer behind BLVD, which began leasing earlier this year, as well as the rest of the mixed-use development adjacent to the Wiehle-Reston East Metro station. Also coming soon to Reston Station (and previously reported): Founding Farmers restaurant. Meanwhile, pop-up shops at Reston Station’s Urban Pop (the little glass booths on the plaza) will continue to operate. In case you are counting, the addition of Reston Station will make seven Starbucks stores in Reston (Reston Station, Fox Mill, South Lakes, Plaza America, Reston Town Center, Spectrum, and North Point). Want to drink local? 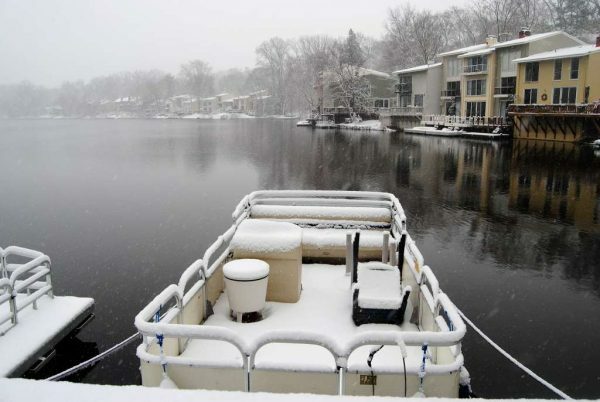 The revamped Lake Anne Coffee House is expected to re-open under new ownership in the next few months. The first residential building at Reston Station, adjacent to the Wiehle-Reston East Metro, is officially open and welcoming its first residents. BLVD Luxury Apartments is holding a celebration Tuesday from 5 to 8 p.m. Stop by the building off the Reston Station Plaza for food, wine and a tour of Comstock’s newest residential project. BLVD features 450 apartments and is the first building to open at Reston Station. Coming soon will be a 16-story office building (under construction), a hotel, and a Founding Farmers restaurant. If you can’t make it to the party, BLVD’s leasing center is located on the plaza at Reston Station and is now open seven days a week. Rents will start at about $1,900 a month for a studio to more than $3,000 for a three-bedroom plus den model. There are a number of floorplans available. Stainless steel, gas appliances, hardwood laminate floors, quartz countertops and other high-end finishes in all units. 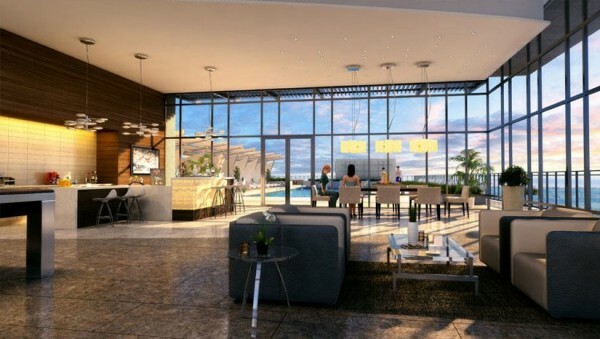 A concierge lounge, business center, and cold-storage space for grocery delivery, as well as an exercise room and yoga/martial arts space. 20 percent (88 units) of the apartments are priced for workforce housing. A ninth-floor “skypark” with green space. Penthouse-level lounge, pool, media lounge, dog walk and demonstration kitchen with 360-degree views. Residents of the building will be Reston Association members. Comstock has paid RA $650,000 in developer contributions, $300,000 of which is an association initiation fee under a new membership fee structure for buildings along the Dulles Toll Road, which were not previously RA property.